Contact Hoo Hats Questions, comments, compliments? Do tell! Hoo Hats are hatched & handmade by Charlotte Cooper in her Portland, Oregon home. 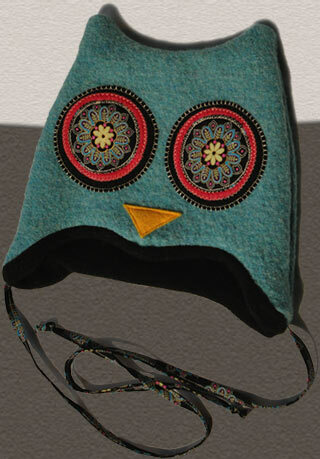 Crafted from lovingly rescued wool sweaters & lined with soft, fuzzy fleece, Hoo Hats are a witty way to warm your owlet. Every creation is completely unique & each has its own personality. Clever, cozy & kind to the environment -stand out from the crowd & make one your own today!